In 1660, with the return of Charles II to the English throne, theater, the visual arts, science and sexual promiscuity flourish. Thirteen years later, in the midst of political and economical problems, Charles II orders the return of his friend John Wilmot, aka the second Earl of Rochester, from exile back to London. John is a morally-corrupt drunkard and a debauched, cynical poet. 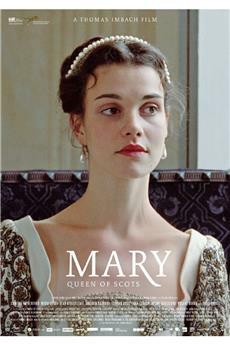 When the King asks John to prepare a play for the French ambassador so as to please him, John meets the aspiring actress Elizabeth Barry in the playhouse and decides to make her into a great star. He falls in love with her and she becomes his mistress. During the presentation to the King and the French ambassador, John falls into disgrace with the court. When he is thirty-three years old and dying of syphilis and alcoholism, he converts to being a religious man. The Libertine was a brilliant period piece. It was a tragically realistic yet witty and humorous look at the Restoration period in England, but more specifically depicted the latter stages of the life of the Second Earl Of Rochester, a poet, who endured a short and debauched life. Here was a man so highly intelligent, yet so bored with life that he thrived by consistently pushing his limits and the boundaries of his relationships.<br/><br/>Johnny Depp eloquently and emotionally portrayed the Earl of Wilmot. This has to be by far his most brilliant achievement in a long line of unique and amazing performances. Mr. Depp&#39;s portrayal of the Earl showed a range of emotions, incredible nuances and a depth of empathy never before seen on screen, best illustrated during the scene where The Earl addresses parliament - which has to be the most gut wrenching scene, rife with fervor but with credibility. Suffice it to say by the end of this movie I had been reduced to tears and cheers, both at times coinciding. This is definitely an Oscar worthy performance. The golden statue is a must.<br/><br/>The supporting cast was also excellent; most notably, the actor who played the Earl&#39;s servant, and who appeared to have a great rapport with Mr. Depp, on screen. Samantha Morton, also superb as Mrs. Barry, gave a lovely and unobtrusive performance as was required for this character.<br/><br/>Laurence Dunmore captured the atmosphere of the period exquisitely with simplicity yet with a keen eye to detail. The reproduction of the &#39;family&#39; Portrait of the Earl with the monkey is an excellent example. The lighting, the sets, the costumes all added to the reality of the movie. The musical score by Michael Nyman beautifully augmented the spirit of the times and of this production.<br/><br/>The Libertine was a work in progress when I viewed it twice at the Toronto Film Fest. I cannot imagine a scene being cut; even the more risqué dreams are required to impart the true emotional state of the Earl at that time in his life. Before passing judgment on this film I suggest that one see it at least twice so as to appreciate the full impact of the movie ? to fully identify with the meaning and the thought behind this production.<br/><br/>The Libertine is a wonderful piece of art, representing the true raison d&#39;être of this poet with incredible wit and insight. 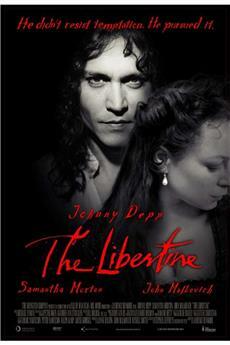 Congratulations to all who graced the production of the Libertine. 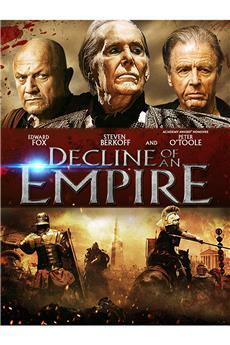 This wasn&#39;t a glamorized period costume drama that Hollywood loves to overdo and it wasn&#39;t NC-17 for nothing! There was some technical roughness and lack of continuity but they were minor quibbles in what I considered a triumph. The mood, the sets and cinematography, the script and, most of all, the acting were all of the highest and most innovative caliber. Depp was in almost every scene and was fascinating beyond anything I&#39;d ever experienced. His force and range of emotion and naturalness were exceptionally powerful and moving from first to last. You hated him and loved him, were repulsed by him and felt pity for him. You were drawn to him almost against your will, like a vortex pulling you in. All else paled in comparison. 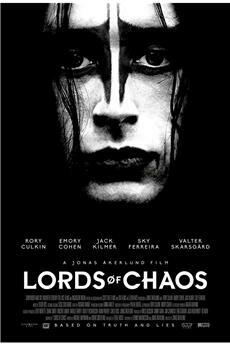 This was a Johnny Depp that I&#39;d never seen before but so hope I have a chance to again. This performance is the crowning glory to date of his illustrious career and I see no limits to what he can accomplish in the future. Everyone else was uniformly excellent although Samantha Morton didn&#39;t portray the allure the Elizabeth Barry in the play had. <br/><br/>My primary recommendation for improving this work in progress before theatrical release center around clarifying motivations up front for why these people were the way they were. This could be done by a combination of edits and additions. I found I liked it even better and was more moved by it the second time I saw it when I wasn&#39;t concentrating as much on following the storyline. <br/><br/>This was a movie I loved and can&#39;t get it out of my mind. It was stunning and compelling beyond anything I&#39;ve seen in a very long while. What images are conjured up by the title! Especially when we know in advance the lead is to be played by the handsome Johnny Depp. 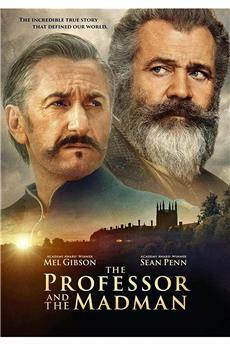 Perhaps a likable rake, a dissolute, even fashionable but very colourful icon of male supremacy - to be forgiven by female fans if they can watch from the safety of a cinema seat!<br/><br/>The reality is a disturbingly different film, dark and sombre, a 17th century candle-lit England, a portrait of the poet and debauchee John Wilmot, and one that ultimately bows out to a feminist heroine in the form of the great actress Elizabeth Barry (played by Samantha Morton).<br/><br/>In an opening prologue, Wilmot tells the audience that they will not like him. With the gusto characteristic of Depp, he throws himself into his melodramatic character in a way that is markedly different from his many half-serious, half-comic roles. As if to win his wager, he is out to repulse us - but not just with licentious excess: the tragedy of Wilmot is that he possesses genius but is unable to use it to furnish his own fulfilment. He is a tragic character, no Don Juan that follows a promiscuous lifestyle as a summum bonum, but a man of inner greatness for whom the outer world is so boring that he loses himself in drink and sexual excess and eventually alienates those around him. &quot;I have to speak my mind,&quot; he says, &quot;for it is always more interesting than what is going on around me.&quot;<br/><br/>As the 2nd Earl of Rochester, Wilmot is in and out of favour at the court of Charles II (John Malkovitch) and frequently upsets his lovely wife (Rosamund Pike) with his whoring and drinking. But his wife&#39;s jealousy is eventually piqued not so much by the loose women or the ale-house, but by Wilmot&#39;s love of the theatre - especially in the form of prostitute-destined-for-greatness, Elizabeth Barry. At a time before the emancipation of women, when the stage had recently been the sole province of men, Barry is determined to make it as an actress. She is hobbled by inexperience and a lowly position, but Wilmot takes her under his patronage and tutelage. Wary of the deal, Barry resists, saying she wants to rise by her own efforts - not so Wilmot can take the credit! He asks her what drives her, and her response, her passion for theatre, the desire to thrill and move an audience, is one that Wilmot identifies with, for he is tired of the lukewarm pastiches that trivialise even great writing.<br/><br/>Unfortunately for Wilmot, his own greatness is on the ebb. It was said of him that he was, &quot;A man whom the muses were fond to inspire, but ashamed to avow.&quot; His taunting of the king and a scurrilous lampoon of Charles II in front of the French ambassador help to seal his fate. <br/><br/>Samantha Morton continues to show her acting talents with a substantial (if not substantial enough) part and Malkovitch is an adequate counterbalance to the very considerable stage presence of Depp. The screenplay (based on an earlier play starring Malkovitch) sparkles with wit and, even if the direction is a little uneven or turgid at times, it is an admirable and important debut from Laurence Dunmore. The desaturated colours and muddy, rain-sodden English countryside create an air of foreboding entirely appropriate for a work that is more serious than its title suggests.<br/><br/>Intellectually, we are treated to the drollness and intelligence of Wilmot but realise that he is a &#39;locked-in&#39; and isolated character, a loner and barely appreciated trailblazer (in some respects like the great Marlon Brando to whose memory, among others, the film is dedicated). We also see the folly and weakness of his philosophy. <br/><br/>Wilmot wrote:<br/><br/>&quot;Consider real Honour then, You&#39;ll find hers cannot be the same; &#39;Tis noble confidence in men, In women, mean, mistrustful shame.&quot;<br/><br/>Yet it was the honour of the lowly Elizabeth Barry that ultimately inspired him and, somehow, remained ever out of reach.